I have an amazing giveaway for anyone who enjoys crafting and baking! Those lovely folk over at Sew White are giving away this spectacular hamper of goodies worth over £50. 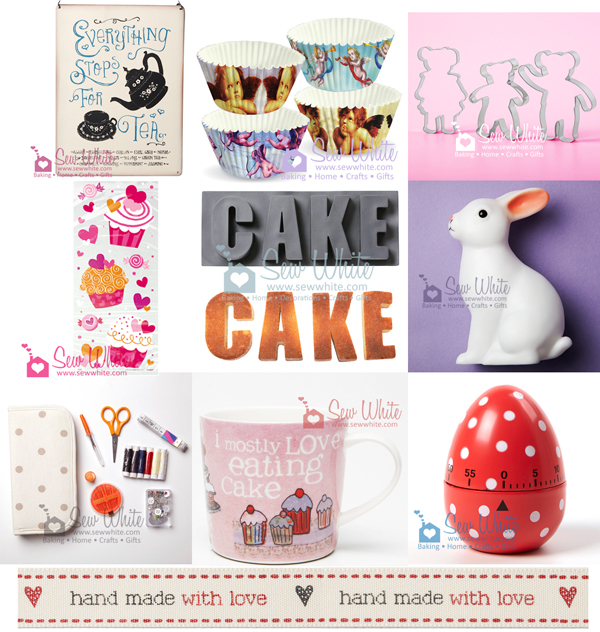 Their website is a plethora of beautiful things including baking equipment, pretty home accessories, arty materials and gifts with a twist. What does the hamper include? Not only are they giving away this beautiful hamper, but they are also offering 10% off to readers of my blog between Friday 31st May and Friday 14th June 2013 - just enter the code 'DollyBakes' at the check out. Once you have done that, there are bonus entries too! 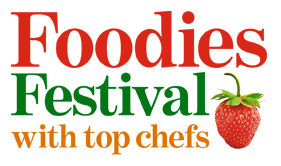 The competition starts at midnight on Friday 31st May 2013. The competition closes Friday 14th June 2013. Please see the Rafflecopter widget for full terms and conditions. A few months ago I was killing time in Manchester whilst my husband was having a pint with his mate (trust me, this is an unhealthy combination which is best left alone...) I found myself in the Bakerie bread and wine bar, chatting away to a fella making bread and waxing lyrical about the new Pie and Ale shop they were opening next door. Well it's finally open. Off we trot. 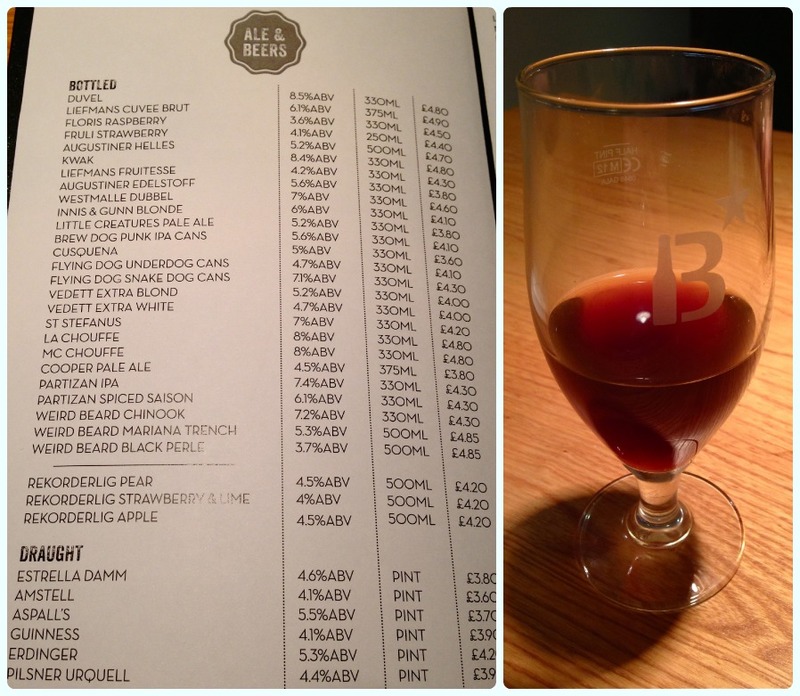 As well as the decent list of bottled beers on offer, there were a further six on draught and five guest ales. There were quite a few from local microbreweries, and although the list isn't huge, what they do have is of decent quality. Paddy picked a Weird Beard Chinook to accompany his pie. To the pies. There were four to choose from, including a steak and ale, vegan Caribbean and then the three cheese and leek which I had, and the Italian meatballs with Puttanesca sauce which Paddy had. My friend Claire at work is convinced there is such thing as a pastry hangover. This is the notion of enjoying your pastry based snack very much, only to be haunted by the wretched creature that is heartburn of the calibre of a real life, fire breathing dragon. I decided I was willing to overlook this misdemeanour in favour of gluttony. 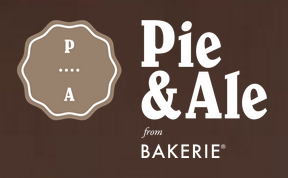 God these pies are good. The pastry is crisp with no hint of a soggy bottom or any greasiness. I particularly liked the fact that Paddy's came with a little cow on top and mine had oozing cheese... They were both so full of flavour - they were just fantastic! The menu warns that the sides are small because the pies are big, they weren't wrong! My only criticism of Pie and Ale was the fact our plates were cold, which made the sides cool quite quickly too. Sort that and we have a winner folks. It's the kind of place I could happily spend an afternoon. It's off the beaten track and has everything you could ask for... well... almost everything. My sister in law is a very clever lady. She jets off all around the world in her role as a fashion designer, creates the most beautiful wedding favours in her spare time and recently landed a new job to boot. A celebration was in order! We decided a curry was our best option as Jenny doesn't eat red meat, and wanted something tasty. 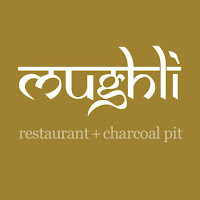 I had recently read a fantastic review of Mughli over at Hungry Hoss' blog, where there was talk of gunpowder chips and Pakistani street food. Belly rumbling, I rang to book a table toot sweet. The chap on the phone was lovely, and suggested we book a Kashmiri booth for the occasion - wonderful! 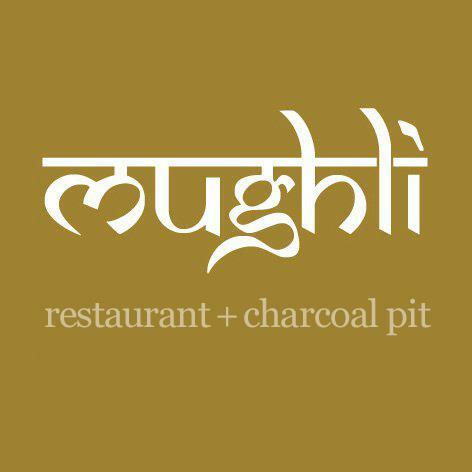 Mughli is situated on Wilmslow Road, in the heart of the curry mile. As Hoss said in his review, there aren't as many curry houses as there used to be, but judging by how busy they all were at 7.30pm on a Saturday - the remaining ones are doing very well indeed. We didn't get off to a great start. We were greeted by a pleasant lady with an impressive 'booking in' system on in iPad. Swish. Unfortunately, there was no reference to our booth booking and she informed us that they were all taken about half an hour ago. I don't deal well with disappointment! She gave us a table near the window instead. The windows have a strange orange tint on them, which is a little cruel on the peepsters when the room is bathed in sunlight. It also makes photographs a little 'warm'. I'm glad to say it got better from then on. 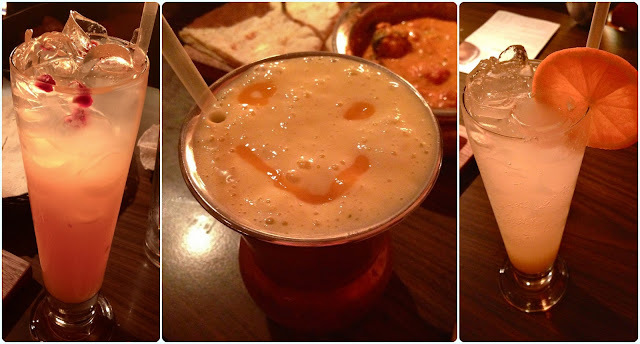 Their range of drinks is imaginative, including refreshing little numbers like the mango muddler (below, left) and Lahori breezer (below, right) as well as the usual wines and big brand beers. They even drew a face in my mango lassi, which was so good that it was swiftly stolen by the sibling (he has a Fruit Corner addiction - it's a shame). 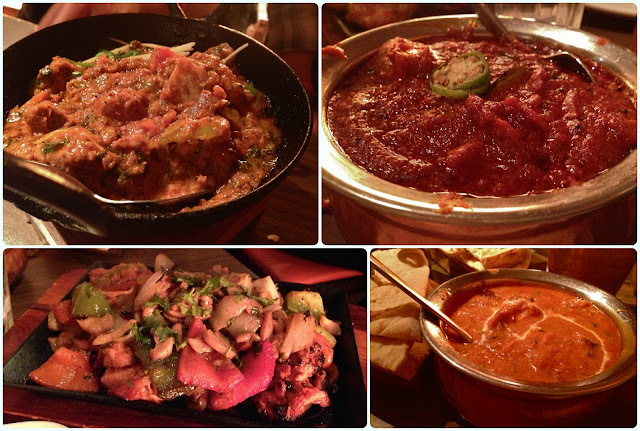 For starters we ordered (clockwise from the top left) a Bombay basket (spinach and cheese tikki, onion bhajias, chicken samosa, vegetable samosa and railway chicken), the samosa chaat, railway chicken and the tava roll from the charcoal pit. 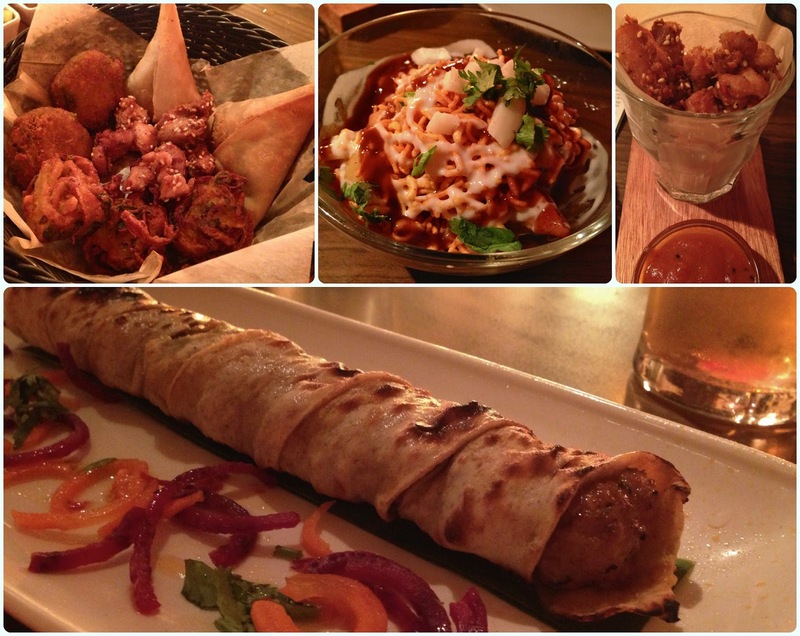 All very nice indeed, but very filling. For mains we had (clockwise from top left again) lamb nihari, chicken madras, chicken shashlik and chicken khada massala. 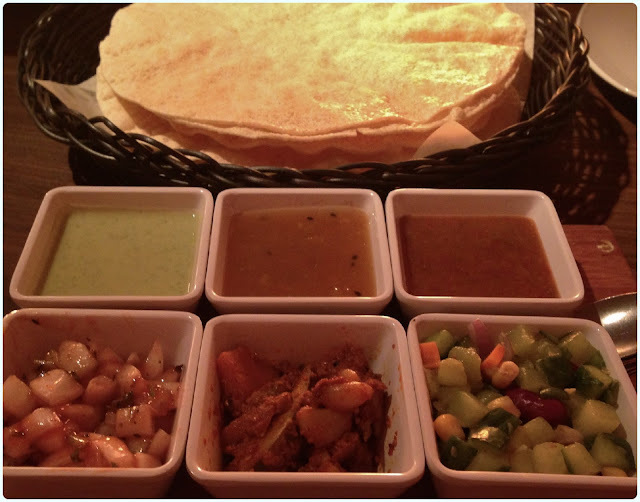 Not content with enough food to fill the table, we also ordered gunpowder chips, cheese and garlic naans, keema pulao rice and saag paneer. I can't remember the last time I was so full. 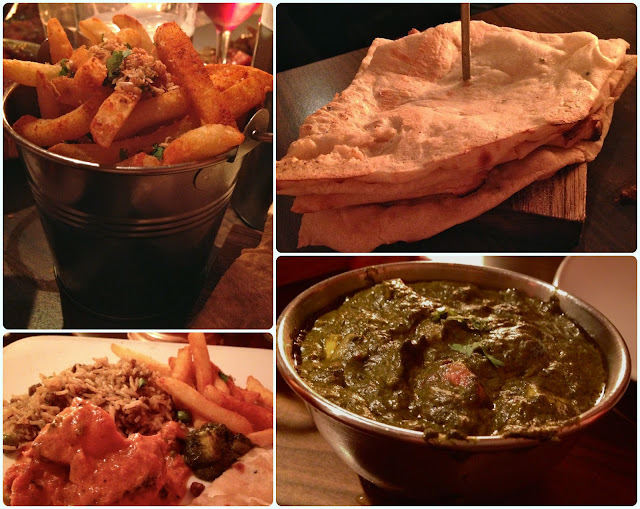 Mughli is a decent curry house serving your normal crowd pleasers plus a few house specials. The tava roll is pretty good as were the little railway chicken pieces. I also really liked the choice of fruit based drinks. My husband was particularly pleased with the gunpowder chips too. The naan breads could do with being a little fluffier and with more cheese! Here are some of the culprits... 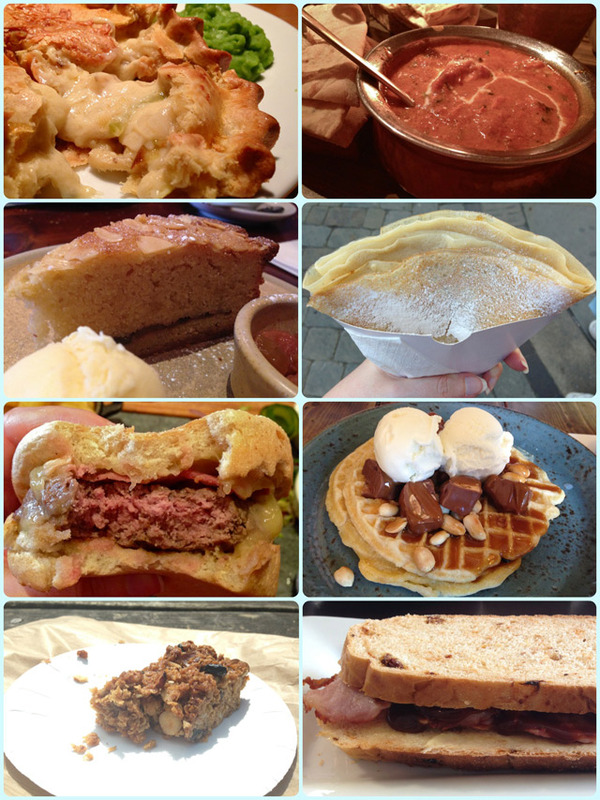 Yes, there is pastry, cake, curry, pancakes, burgers... yes... that is a Snickers waffle. Don't judge. It was well nice. However, before the bank holiday hit I was an utter saint - see below. My own bodyweight in super free strawberries plus lots of other lovely fruits. Southern style chicken and cajun fries. Mac and cheese with broccoli. Chicken seasoned with chipotle smoked sea salt with paprika wedges and mixed vegetables. 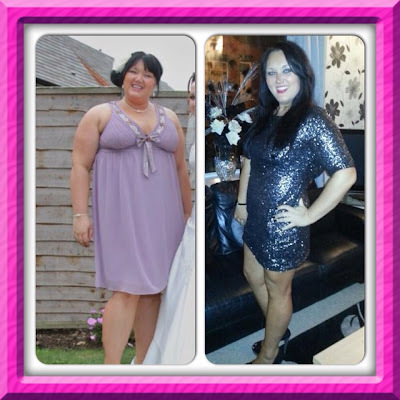 All of these were Slimming World recipes too! I can't say that any of them tasted like diet food. They were all lovely and even got the seal of approval from my husband. Saturday: Leaving this day free in case we go out. I have a brand new giveaway for the summer holiday period! I know, I know... what summer...? I'm working with Sainsbury's to give one lucky reader a £25 voucher! They've been planning summer holidays driving across Europe, and want to know more about where you get to, or where you would love to go. Log in to Rafflecopter below and enter the draw by leaving a blog post comment with your ideas for your favourite driving holiday destination? You can also enter by tweeting about the giveaway. The more times you enter, the better your chance of winning the £25 Sainsbury’s voucher! Whether or not you’re our prize winner, your favourite driving holiday destination ideas could also potentially appear in a future Money Matters Blog post. The winners will be chosen via Rafflecopter (which uses random.org) and announced on this page. The competition starts at midnight on Wednesday 29th May 2013. The deadline for entering the giveaway is Wednesday 5th June 2013. The Ts&Cs are included in the Rafflecopter widget. After the giveaway deadline is over, Sainsbury's will use Rafflecopter to determine a winner. They will notify me of the winner, which I will announce on my blog. 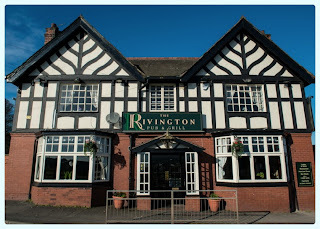 We first went to The Rivington in June 2012, and have been several times since. We've used them a couple of times for cake club now, mainly because the rooms a spacious, clean and tidy, and the staff are so helpful. This post is a bit of an update. The venue is now well established in the town and many of the initial (minor) teething problems have disappeared. This is a family venue which is just as suited to your pub enthusiast as it is to those visiting with children. There is a main dining room, but there are lots of little off-shoots which provide a little more privacy, or there is an ample bar and lounge if you prefer just to visit for a drink. There are usually three ales on pump and there is quite a large wine list. 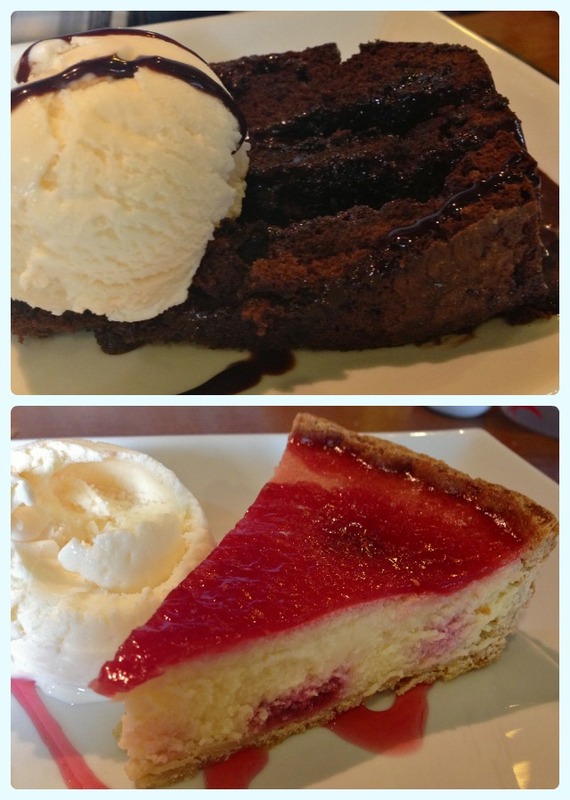 We decided to stay for a late lunch after cake club last week. 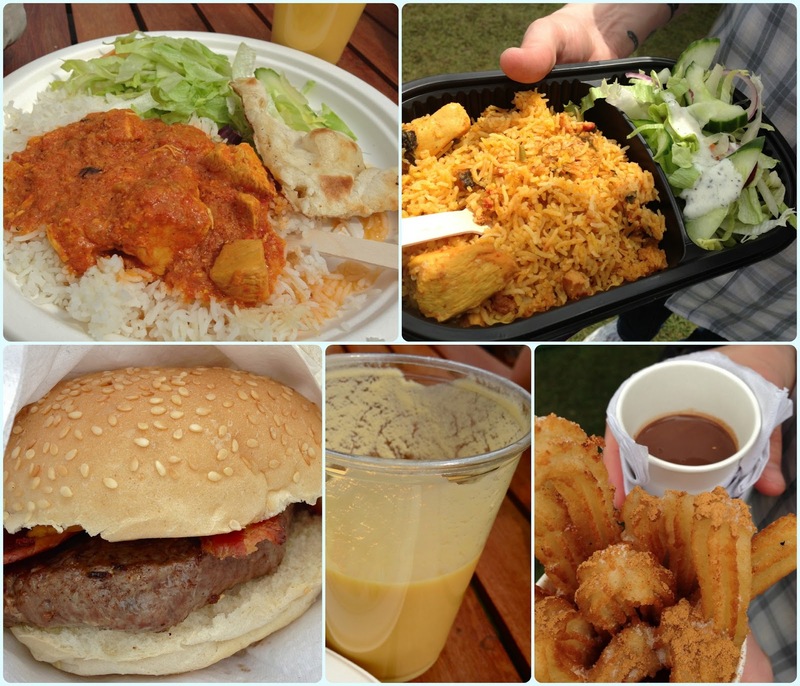 I had every intention of having something Slimming World friendly... it just didn't happen. I did see a lady having a fresh looking chicken dish, just as my burger arrived. 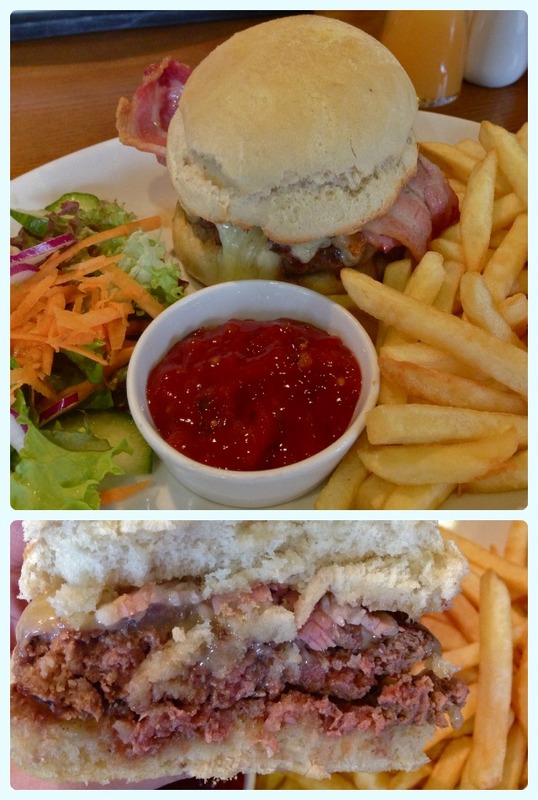 The burgers are of a good standard for a pub in Blackrod. 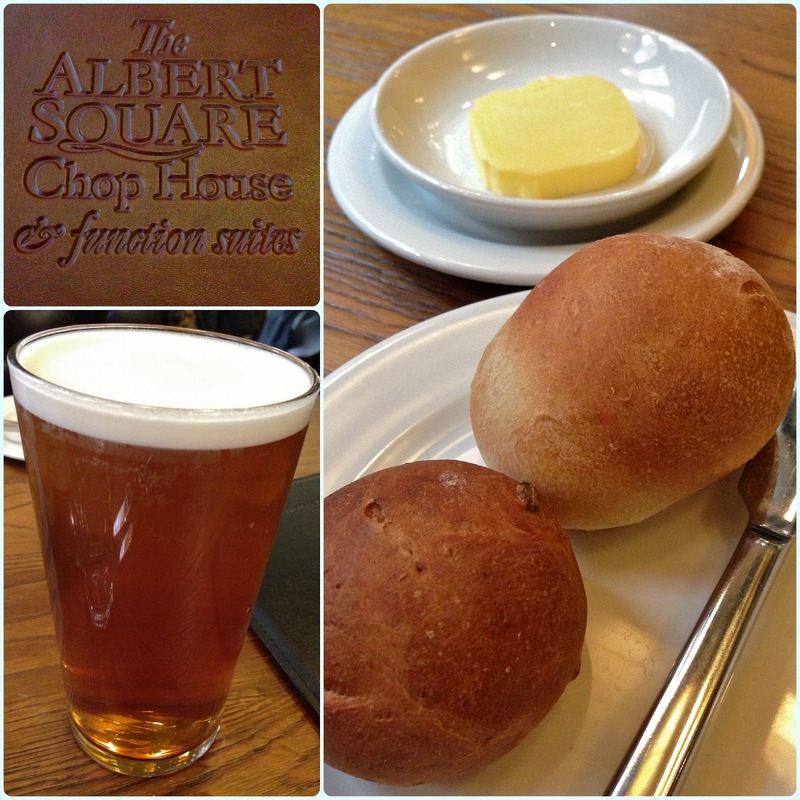 They come on a fluffy white roll and are served with crisp bacon, melted cheese and sides of salad, salsa and fries. It came with a nice pink centre too. My husband ordered the mixed grill with pepper sauce. 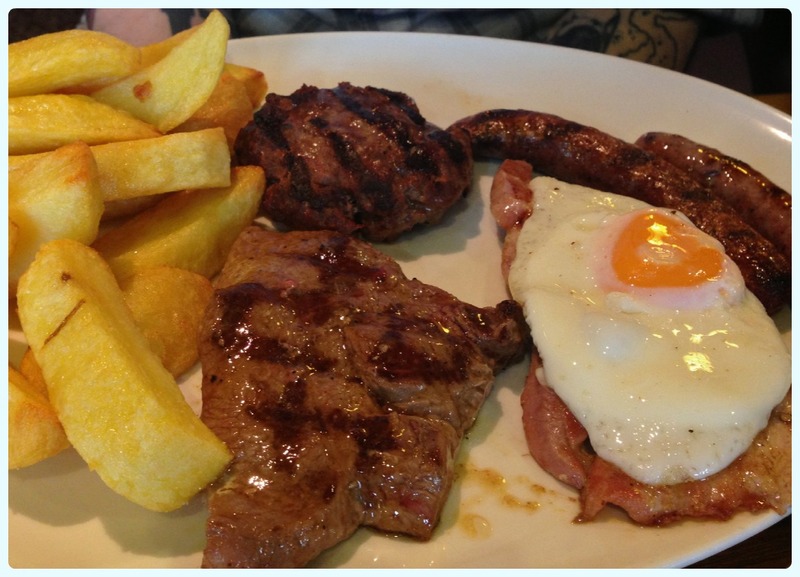 It included a chargrilled burger, rare steak (as requested), gammon, sausages, chips and egg. Protein ahoy! Pub mixed grills are typically a plate full of old boot leather with a hard egg, but I nibbled some of this and can confirm it was very tasty indeed! They are obviously using decent produce judging from the texture and flavour. Don't give me any more grief than the staff already did. Yes, I had just spent two hours eating cake, followed by a burger. I really struggle to leave a restaurant without having dessert. So I had raspberry cheesecake! This was the only part of the meal which needs a little improvement. The texture made me think it had been frozen, as it was a little granular and soggy in places. It tasted nice, but I only ate half. Perhaps this had something to do with the fact I was full to bursting though. My husband had the hot chocolate fudge cake. No complaints here; it did exactly what it said on the tin. Soft sponge, gooey sauce and good quality ice cream (Mrs Dowson's). I'd recommend a trip to the Rivington if you're looking for a reasonably priced meal over the Bank Holiday weekend. You can book, but we've never had a problem getting a table. They also do a carvery on Sundays, which although I haven't tried this, I hear it's rather nice! The first thing we did was go to a presentation by beer expert Melissa Cole. 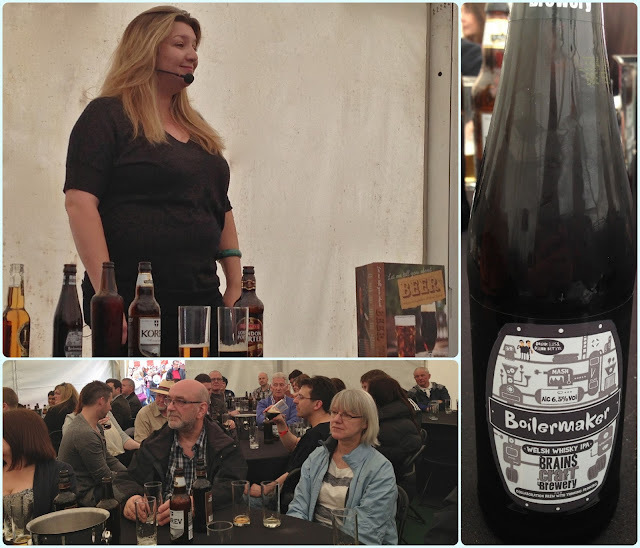 She did a brilliant talk on how beer is made, how to taste it properly, and then she talked us through some of her favourites. My husband was particularly pleased with the tasting session! Starved, we headed to the food vendors. We both had a curry with mango lassi, but then Paddy decided he was still hungry so had a burger too! I followed the waft of cinnamon and ended up with churros dipped in chocolate. Once you have done that, there is a bonus entry too! The competition closes Monday 10th June 2013. This was the cake I made for our fruity themed 'Each Peach Pear Plum' cake club on Saturday. It's a recipe I have used before, but it was slightly modified to allow more fruit. I stumbled across giant sultanas whilst perusing 'diet food' in Marks and Spencers. 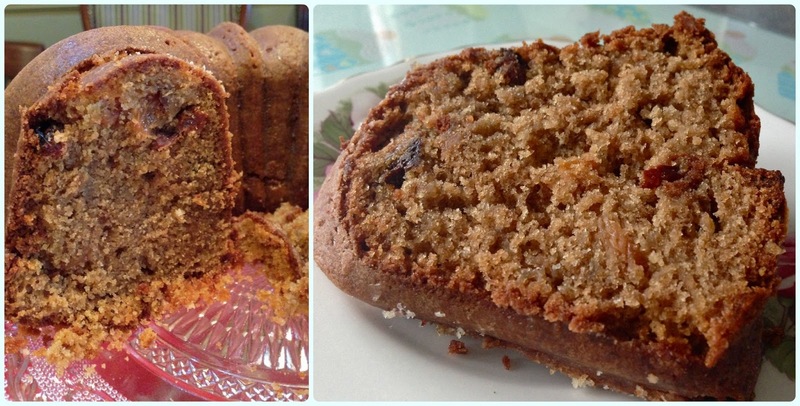 The moist apples in this cake plump up the dried fruit to look more like apricots! 200g giant sultanas - these look like small apricots. If you can't find them, regular ones will do. Mix the flour, baking powder, bicarbonate of soda, salt and spices into a bowl. Stir in the sultanas - this gives them a nice coating of flour. Mix on a low speed until the apple is well distributed in the mix. Sieve in the flour mixture in two lots, then tip in the sultanas which will have been 'caught' by your sieve. When it is nearly combined, give it a quick mix with the mixer for about 10 seconds on a low speed. 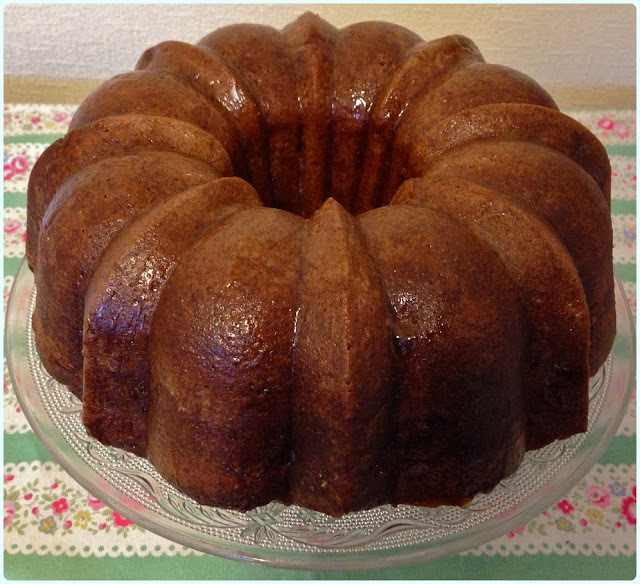 Pour into your prepared bundt tin.It's quite liquid so it doesn't really need teasing into place. When the cake has cooled for 10 minutes, turn it out and brush with the glaze. The warm cake will just drink it up! You don't need to use all the glaze if you don't want to. 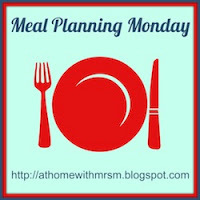 If you read my blog regularly, you'll know that my two main hobbies are baking and eating out. The unfortunate side effect of this is getting rather fat. I'm lucky in the respect that I don't pile weight on easily, but the last couple of years have been a steady path to self destruction. My back is sore, I'm tired and I don't appreciate the treats in the same way. I tried the 5:2 diet, but my 'normal' days probably couldn't be considered normal for most people. I have also tried calorie counting, which yielded great results but 1000 calories per day just isn't sustainable. I needed something else. I want to eat relatively normally, feel full and still enjoy my hobbies. I need balance in my life! Lots of my friends at work have lost lots of weight on Slimming World. Emma has just hit two stones, Michelle about three and Corinne a whopping four! They have actually lost my ideal weight between them! 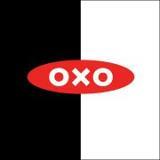 Inspired by their success, I'm giving it a bash. I don't want to go to a club and I won't be doing it 100% of the time, but any improvement is a bonus. I know she won't mind me sharing it because she's done so chuffing well! All the meals outlined below are healthy versions, but still taste amazing. I generally use 5 of my 15 syns on a Curly Wurly. Sue me. It keeps me sane. Wednesday: Booth's Cookalong Night - don't know yet! Saturday: Out with the sibling for tea. 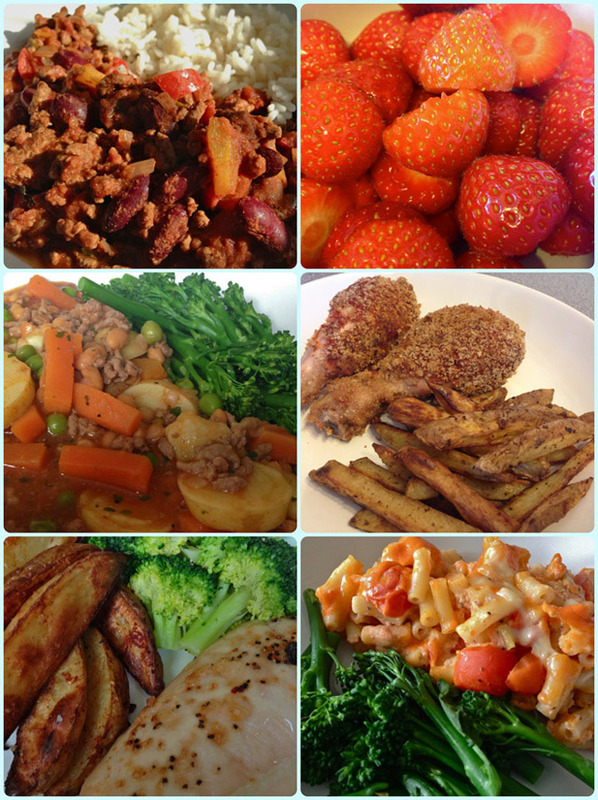 If you have tried Slimming World, I'd appreciate any good recipes! 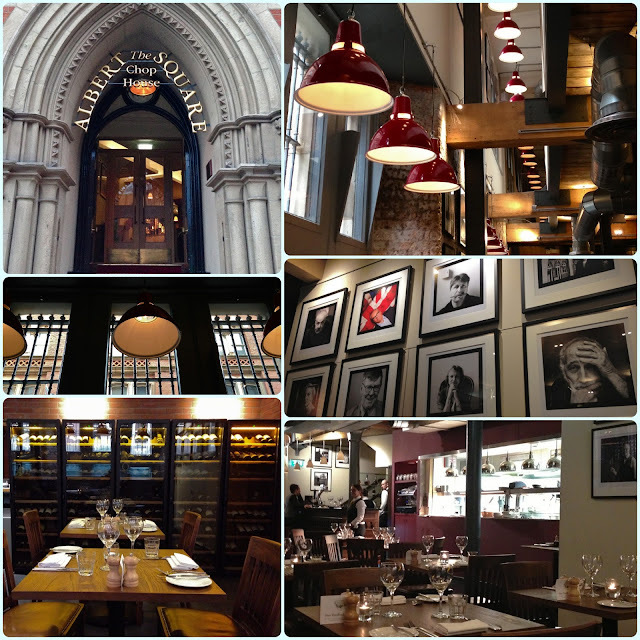 Last week Manchester Confidential invited me to try the new menu at The Albert Square Chop House. I have been to Mr Thomas' Chop House lots of times, and last winter had learned they had another string to the chop house bow. However, I presumed that this new recruit would be very similar to Thomas and Sam's; rich hearty food that goes well with brown sauce. Wrong. 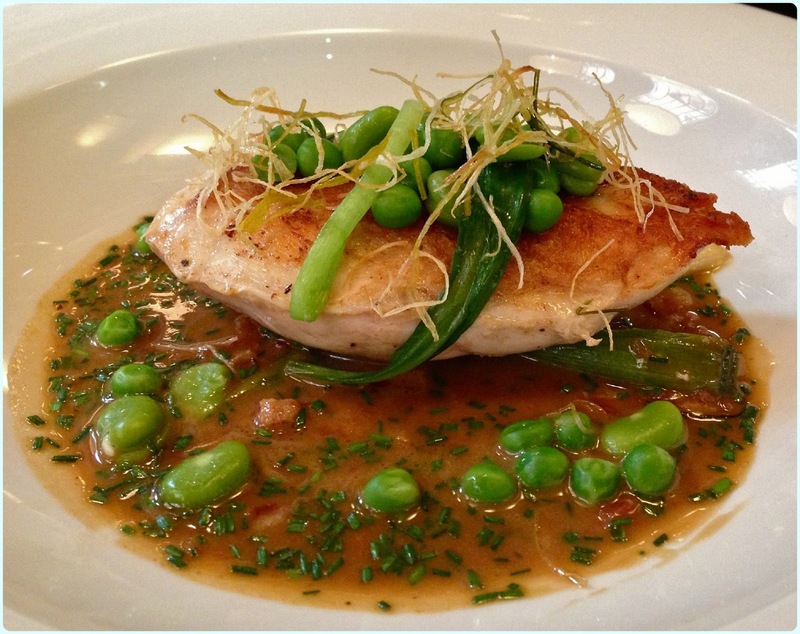 The Albert Square Chop House is a much more refined affair without being stuffy. The front of house staff welcome you as if you were entering their own home. You are led downstairs to a little dining haven away from the hustle and bustle of the busy bar above. 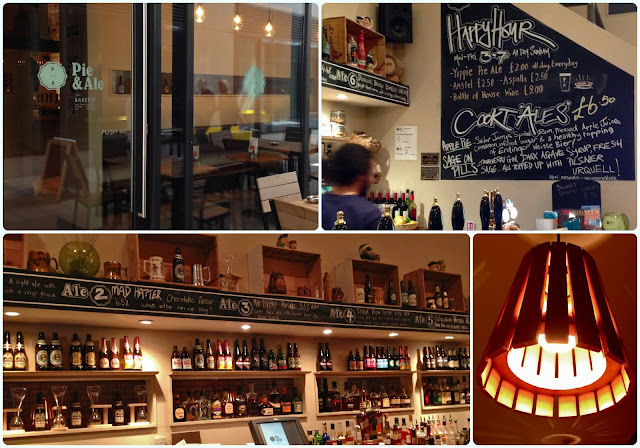 The decor has kept its historical roots, but has been modernised with the odd replacement beam, shiny new enamel lights, a brightly lit open kitchen and hundreds of wines encased in beautiful glass cabinets. It's the personal touches that make the Albert Square Chop House feel a little different to other city centre restaurants. We had 'the vibes' before we took a bite or sip. The service is formal enough to be special, yet friendly enough to be confortable. It reminded me a little of Coi in San Francisco, modern decor in an old district, complete with confortable booths, soft lights and excellent service. We had high hopes. Our warm bread arrived in a little basket. We were offered one, two or as many as we liked! We both had one of each - white and granary. They broke open with ease and were soft and fluffy. The butter was also a perfect spreading temperature - I have had many a shredded roll because of unecessarily cold butter! 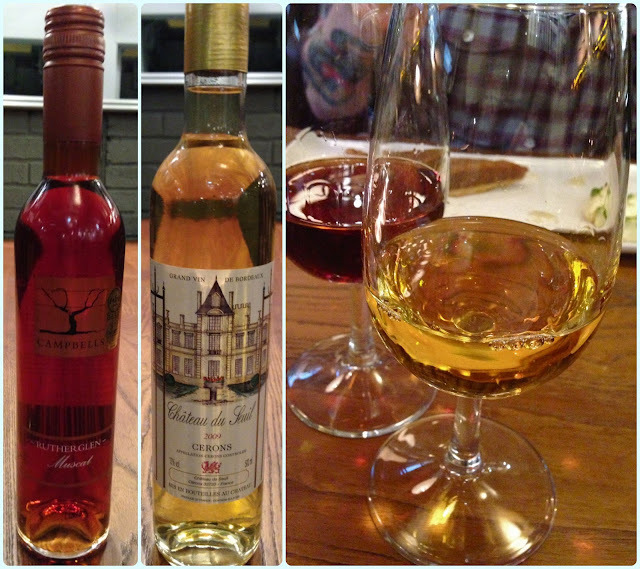 Before our starters arrived we were offered wine pairings to suit. I told Carlos about my wine hatred, but he was confident that he could find something I would enjoy. He wasn't wrong! 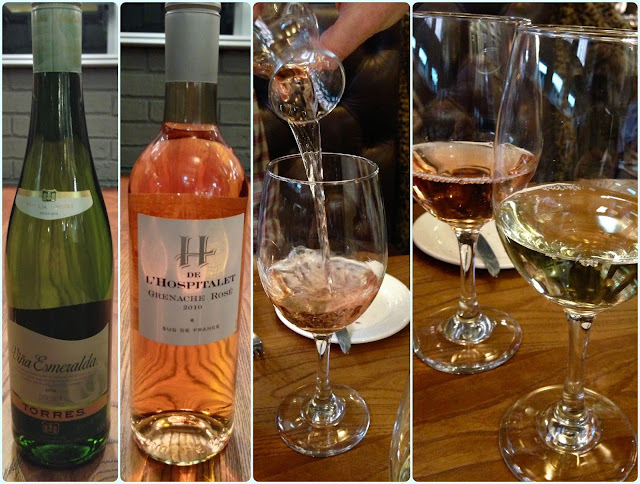 I had the Viña Esmeralda (Muscatel, Gewürztraminer) and Paddy had the L'Hospitalet (Grenache Rose). Both complimented our dishes perfectly. I have to admit that not only could I stomach my wine, but I actually enjoyed it. Paddy ordered the steak tartar, which came with a vibrant smoked egg yolk and toasted bloomer. This was perfectly seasoned and was full of rich flavours and the odd sharp bite in the form of capers. Lovely. I was brave and had the pate. I fear pate because it contains liver - another mortal enemy. After trying the Bells of Peover offering, I have rescinded. I am so glad I went for this. 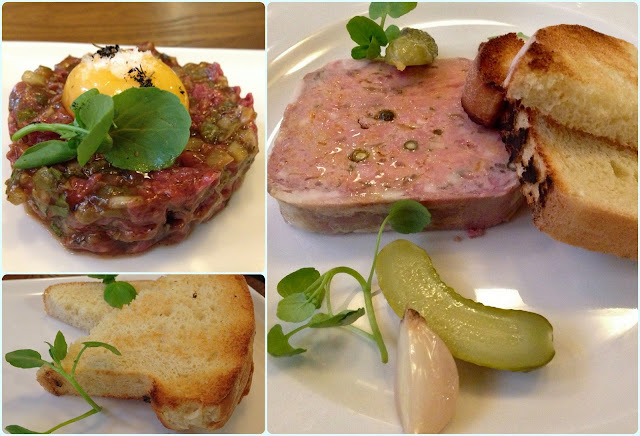 It was more of a bacon wrapped terrine; chunky meat with a generous amount of pepper, served with tart pickles. No sign of grey slop here. I'm converted. That's twice in one night! 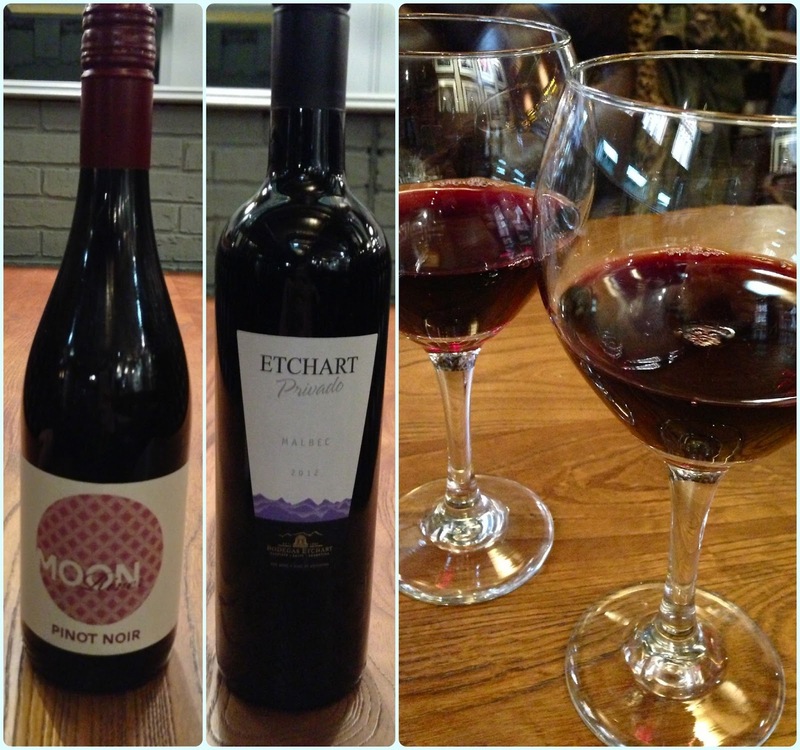 Still high on starter euphoria, we were offered the wine which accompanied our mains. I had the Etchart (Malbec) and Paddy had the Moon River (Pinot Noir). Please bear in mind I am a total wine novice, only having liked it for 30 minutes at this point. This wine genuinely smelled of hearty beef stew. It had a sweetness of roasted vegetables but a warmth like a waft from a slow cooked casserole. When tasting it with my steak, some of this disappeared and I was left with a mellow, fruity taste. I loved it! Such a great suggestion. Mike had recommended the chicken, as it was one of his own personal favourites. Paddy was sold on that whilst I picked the sirloin steak with pepper sauce and house chips. 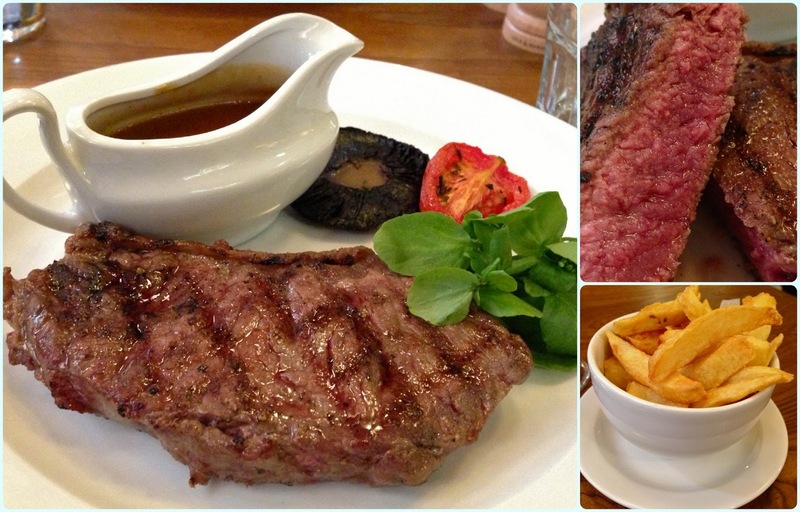 I had the exact same thing at 3TwentyOne (with the exception of the cut of steak). Although that was good, I have to say that this won hands down. It was a beautifully cooked piece of meat, served medium rare as requested. The chips were crisp on the outside and fluffy on the inside, and the pepper sauce was smooth with a nice kick. The chicken was moist with a crisp skin and had 'really good gravy' - quote. Pudding, pudding... often the forgotten cousin of the starter and main, and so frequently a huge disappointment. 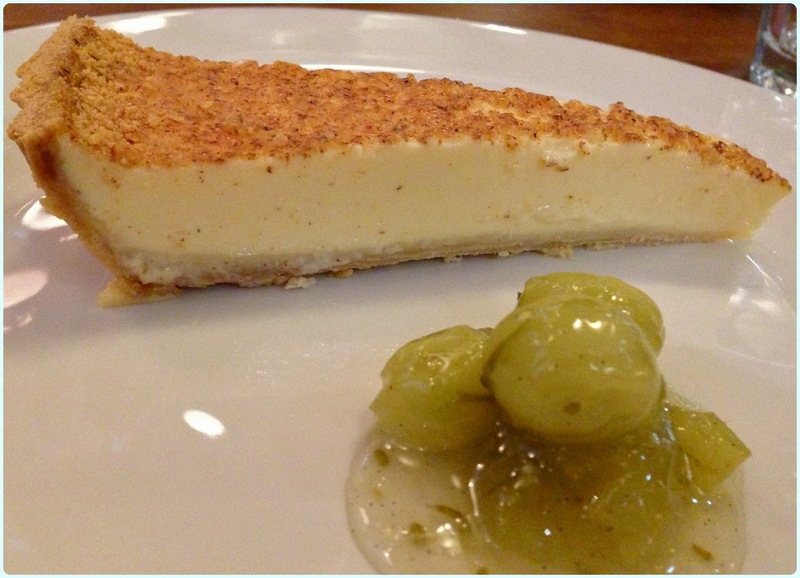 Oh they were a dream... We ordered a treacle tart and a custard tart. Mike had recommended the raspberry soufflé (which he described as 'quite sensual'), but my heart already lay in custard. I'm not sure how to describe these desserts without coming over as a bit of a nutter. They were amazing. The edge of my custard tart 'wibbled' as it landed, and came with the best poached gooseberries I have ever tasted. Christ on a bike. Go just for this. The treacle tart was equally wonderful; light yet reassuringly gooey. Total Goldilocks effect - just right. On our way out we bumped into a lovely lady called Caroline who was managing front of house upstairs. God she is good. 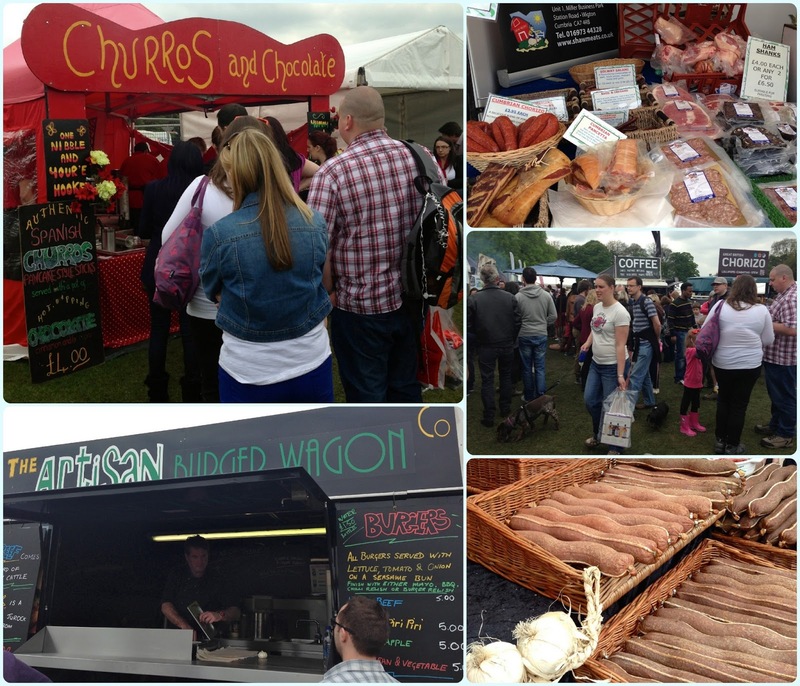 A total food enthusiast who clearly loves working in hospitality and chatting to customers about her passion. I loved her. I could kiss those lovely folk at Manchester Confidential. We had the most unexpectedly wonderful meal - on a school night too! 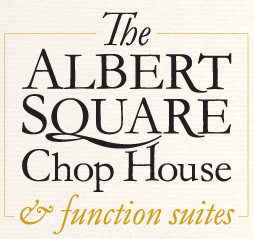 I have already recommended The Albert Square Chop House to several friends, and sent that wibbly custard tart picture to many more. The proof is in the pudding, literally. Go. 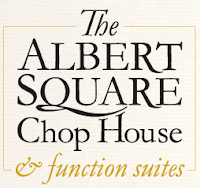 Disclaimer: I was invited to sample the menu at the Albert Square Chop House by Manchester Confidential. I was under no obligation to give a good review, and all views are my own.